First of all we would like to thank the members of Stani Army for taking time out of their schedule and talking to us. It is impossible to miss them if you watch any Pakistan match. They turn the match atmosphere into that of a carnival and ensure that there are no dull moments in the matches for the fans present at the ground and the ones viewing on TV. 1.When and how did Stani Army come about? More than five years ago, a few fans had the idea of forming the Pakistan equivalent of the England supporters group the Barmy Army, and naming it the Stani Army. “Stani” was derived from the latter part of the word “Pakistani” and the name as a whole is a play on the name of England’s supporter’s group the Barmy Army. We launched our website www.staniarmy.com in early 2008 and began to make our name on the world wide web. 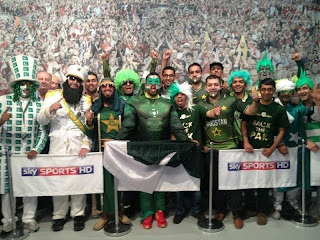 Through interactions with fellow Pakistan cricket fans on social networks, forums, blogs and at cricket matches, the number of Stani Army members gradually began to swell, as we were joined by the likes of Mr Pakistan, the Sheikh, the King and the Dictator. 2.What was the thought behind forming the Stani Army? We wanted to bring all Pakistan cricket fans together, enabling us to support our team anywhere around the world as one united, positive force. Being in a unique position of having extensive experience travelling to all parts of the world following our cricket team, we wanted to help fellow fans by offering advice to them when it came to planning overseas tours. Fixture, ticket, hotel, sightseeing, and ground and seating information are just some of the things we offer our members and supporters. 3.How much planning goes into preparing for a match/tour? Planning starts with confirmation of a series or tournament. Dates are noted, word is spread amongst the members and annual leave is checked/booked at work. This can be a difficult period as many of our members hold down full-time jobs and have family responsibilities. Ticket information is sought, ground research is done and a stand is picked. Tickets are booked at the first available opportunity. Hotels/villas are researched for price and availability and booked, along with flights. Sightseeing is researched and scheduled on non match days. Guides/transport are booked if needed (e.g World Cup in Sri Lanka), and visa information is checked. On match days the outfits are readied the night before and face painting is usually done at home or in the vicinity of the stadium. As you can see, a lot goes into match/tour preparation and this is something that can easily be too much for the regular fan who just wants to have a good time and be able to watch and support his or her team. Being able to help our fans out in this regards is something we're very proud of. What is particularly popular with members and fans is our sightseeing trips when touring abroad. Sometimes there can be 2-3 days between games and fans who are not used to travelling to far flung places can find it difficult to pass the time. 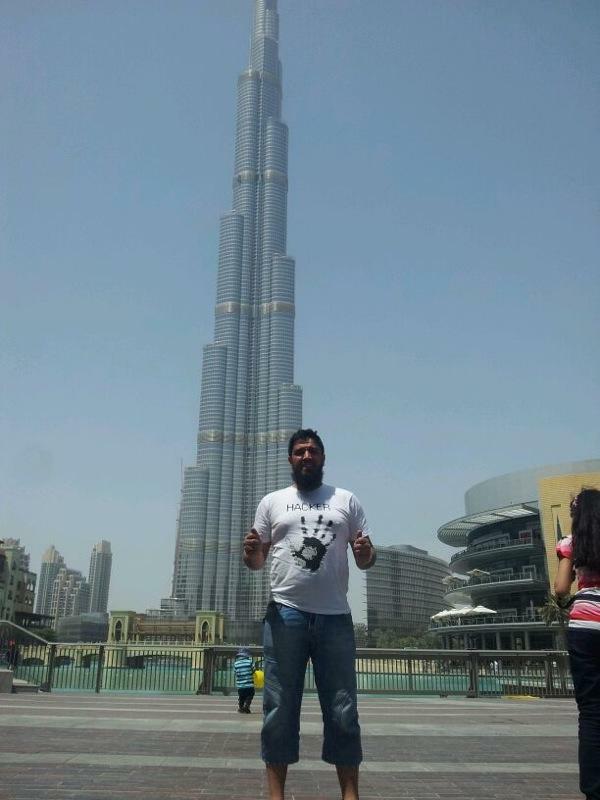 Our experience allows us to arrange local sightseeing trips helping fans add the holiday aspect to their cricket tour and take back lots of wonderful memories. 4.How do you co-ordinate with the members of the Army? We have our main website www.staniarmy.com where all official information is posted and discussed. We also use the social networks and coordinate through our Facebook Page and our Twitter account. Throughout the planning of a tour and especially during a tour/tournament, we tend to coordinate via mobile phone as web access can become an issue abroad. 5.Does the Army organize any special events when the matches are not going on? We're always looking for the opportunity to showcase our positive support for our cricket team throughout the calendar year. Some of our members do charity work and attend Melas in their outfits, raising money for good causes. One member attended the Pakistan ladies cricket matches this month, to help support our women’s team. Some of us are planning to attend the under-19 Pakistan matches in August. As you may have seen, some of our members were recently invited to attend Sky Sports' Cricket AM show. Not all of our members are able to get to these events, but this does not stop us from arranging events up and down the country whenever possible. 6.How can people join Stani Army? One can join the Stani Army by registering at our website. We try to encourage our members to find themselves a character outfit in order to add a bit of fun and to help them stand out at events, although this is not a requirement. 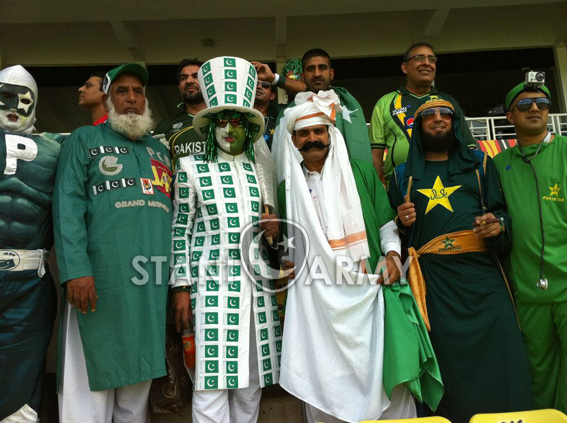 What is a requirement is 100% positive support for the Pakistan cricket team, win lose or draw! We are renowned for our undying and passionate support of our team. 7.How do you design or come up with their group T-shirts/logos/flags etc? We have a dedicated person who takes care of our website and general design aspects. Our official Stani Army logo is an original design and trademark of Stani Army. Our t-shirts designs are discussed amongst the members before being designed. We will have a number of new designs in our own dedicated shop on the site coming soon. 8.Are there any specific trademark routines/songs that have become part of the Stani Army culture? Chanting in the stands is something our members do passionately. Our brief to everyone at grounds is whenever any of our members begins a chant, that we back them 100%. The two most popular ones are chants of 'Stani Army' and of course 'Pakistan Zindabad'. We encourage members to pen catchy songs and chants to help create a positive atmosphere. 9.What's your reaction to Pakistan not managing their talents well? Asif and co had the world at their feet. Yet they went into fixing. What could be the reason? First and foremost the loss to the cricketing world was immense. Missing out on being able to witness Mohammed Amir and Mohammed Asif mesmerize opposition line ups is heartbreaking. A lot of good changes have come since the scandal which is a big positive and will make it much more difficult for our players to fall into bad company in the future. Despite the loss of these two immensely talented bowlers, we are comforted by the fact that Pakistan will continue to produce exceptional, naturally gifted cricketers as it has done so throughout its past. 10.What do you feel when the Pakistani team is not doing well, like it consistently fails in batting out 50 overs nowadays? All fans like watching their team win and we are no different. But one thing that sets us apart is that we will continue to support our players even in the bad times. We know that as supporters, we will be doing no one any favors by being overly harsh in criticizing the players when they are trying their best. Our batting has always been a weak point yet with the great Misbah Ul Haq at the helm, a few good young player selections, the future is looking very positive in that regards. 11.How do you guys celebrate a Pakistani win after the match? Much of it depends on whether we're at home in the UK or abroad. Generally when we're at home, it's a quick meet up after the game to discuss the events. Some of the members then head off home due to other commitments and others go for a meal together. When we're touring abroad then we spend much of the time after the game together celebrating and talking about events. It is the same after a loss also, but as you can imagine the atmosphere is more subdued when things haven't gone as hoped! Nevertheless, with the exciting cricket our team plays, there's always something to talk about. The Yumm Yuss Dee Effect! !